Elevated erosion surfaces were used as an independent data set in an integrated study of the landscape development in central West Greenland. The study resulted in a time-constrained model describing multiple episodes of post-rift uplift, erosion and burial on a passive margin. The model is based on full integration of three data sets: analysis of large-scale landforms, apatite fission track analysis (AFTA) of samples from outcrops and deep boreholes, and the geological record. These data are equally important as they record specific and unique parts of the landscape history. The relative chronology obtained from the landform record is constrained by geology, which gives the maximum age of an erosion surface, and AFTA that records the cooling history of the subsurface rock. This combined approach validates the interpretation of erosion surface as having been governed by different base levels in the past, and shows that erosion surfaces can be used to reconstruct tectonic events. 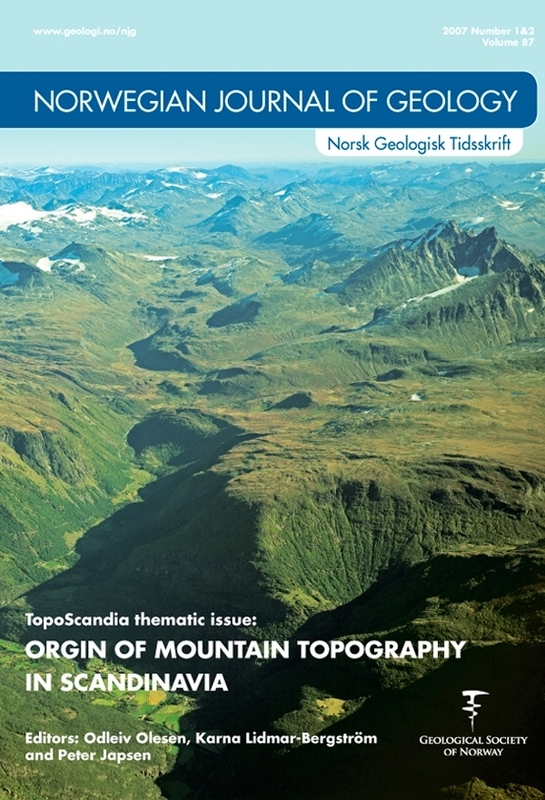 Geomorphological key observations for the landscapes of southern Norway are presented and the similarities with landscapes in central West Greenland emphasised, especially the elevated plateaux and the Mesozoic etch surfaces. This similarity suggests that it may be possible to construct a time-constrained model for the landscape development of southern Norway based on our West Greenland approach. Johan M. Bonow, Peter Japsen, James A. Chalmers, Geological Survey of Denmark and Greenland (GEUS), DK-1350, Copenhagen K, Denmark.